We're back! And you're invited. After taking a year off, we're delighted to annouce that it's game on for 2017. This years event will take place on Thursday 14th September. We have 2 venues holding the date and will make a call based on player numbers. Everything else remains unchanged. So expect witty presenters, fierce competition, lots of laughs and probably a sore head the next day! Above all we expect to raise significant funds for the real winners, our chosen charities. We'd like to welcome back (with open arms!) our sponsors; Simmons, CNR & Power Jacks. They really are men of the match. We're taking a year off but wil be back in 2017! After four successful years, which has seen the event donate more than £350,000 to charity, Simmons’ Sportschallenge will take a break in 2016 but will return next year. Nick Dalgarno, managing director at Simmons, said: “Over the past four years Sportschallenge has become a popular event in the north-east calendar and every year we are overwhelmed by the generosity of companies as they get behind us to support deserving causes. I am delighted to have now presented the funds from 2015 to our chosen charities and know that the money will have a huge impact on people’s lives. “In the current difficult climate for many oil and gas businesses we have made the decision to take a break from the event this year but plans are already in place for 2017, when Sportschallenge will return even bigger and better. Since 2012 we have supported nine very deserving causes, and looking to the future we hope that we can continue to support local charities with this fantastic event. Simmons’ Sportschallenge event 2017 will take place on Thursday 21 September 2017. 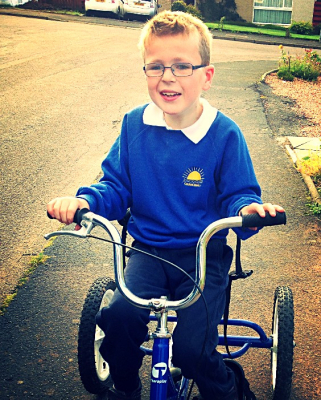 Money raised by Simmons and Company International’s Sportschallenge event has allowed a north-east charity to buy bikes for children with special needs and will also go towards setting up a network of trained cardiac responders in the region. Sportschallenge 2015 raised more than £70,000, which has now been split between three north-east charities: Friends of Carronhill, The Sandpiper Trust and Maggie’s Aberdeen. Children’s Aid (Scotland) Ltd also received funds from the question of sport style event. Friends of Carronhill support the little extras that make all the difference to the children who attend Carronhill School in Stonehaven. The school is one of only three in the north-east, which caters for children from ages five to 18 with special needs, ranging from behavioural challenges such as Autism to physical difficulties such as Cerebral Palsy and Spina Bifida. With the money they have received, Friends of Carronhill plan to purchase bikes for the school. Alison Thomson, chair of the Friends of Carronhill, said: “Friends of Carronhill is run by parents of pupils who attend the school, so at the heart of everything we do are the needs of our children. We are completely overwhelmed by the money we have received from Sportschallenge. The support has been absolutely fantastic. 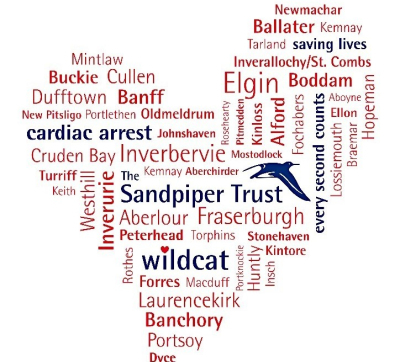 Money raised by Sportschallenge will go towards the Sandpiper Trust’s Wildcat campaign, which is the charity’s biggest drive yet and aims to raise £750,000 to create a network of trained cardiac responders across the north-east of Scotland. The Sandpiper Trust was set up in memory of 14-year-old Sandy Dickson who died in an accident in 2000. The charity aims to save lives in rural Scotland by equipping trained emergency volunteer responders with Sandpiper bags. These bags contain emergency medical equipment required to save lives. Sandy Dickson’s aunt, Claire Maitland, is a trustee of the Sandpiper Trust. She said: “Our Wildcat campaign is our most ambitious fundraising target yet and with this money from Sportschallenge it’s off to an excellent start. Through the campaign we hope to fund a team ofcardiac responders across 50 bases in the north-east of Scotland. Simmons & Company International’s annual Sportschallenge event has raised more than £70,000, which will be shared between three north-east charities. The proceeds from the evening will be divided between Maggie’s Aberdeen, Friends of Carronhill and The Sandpiper Trust. Children’s Aid (Scotland) Ltd, will also share the funds generated at the fourth annual Question of Sport style quiz, which has now raised more than £360,000 for good causes since 2012. 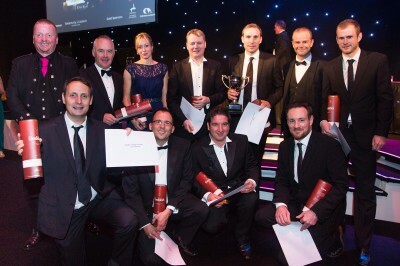 Some 550 members of the north-east business community, representing 57 different companies, came together to put their sporting expertise to the test at the black-tie event, which took place at Aberdeen Exhibition and Conference Centre on Thursday night (17 September). 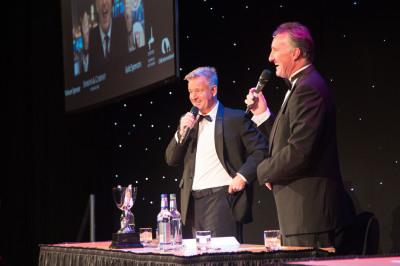 Former Scottish footballer Alan McInally and Sky Sports presenter Charlie Nicholas kept teams entertained with their questions and amusing anecdotes. Platinum sponsor Simmons & Company was joined again by gold sponsors CNR International and Derrick Offshore for this year’s event while Power Jacks and ATR Group sponsored the League. The overall Sportschallenge winners were the MI-SWACO team, which was captained by former Aberdeen Football Club captain Russell Anderson. The team, along with runners up Carbon Financial Partners, were presented with their trophy by Dave Grant from ATR Group while Bruce Bultitude, chairman of Power Jacks presented the Europa League winners Pwc and Power Jacks with their prizes. Those in attendance on the night were given an insight into how their money would be making a difference when Alison Thomson from Friends of Carronhill spoke about the work it does to support Carronhill School and provide additional facilities for the children. Colin Welsh, chief executive officer of Simmons & Company, said: “Sportschallenge has again brought the North-east business community together to support some very deserving causes. Maggie’s Aberdeen has become an essential resource for those living with cancer which we are delighted to support again this year. Two smaller charities run by dedicated teams of volunteers will also benefit from the event – Friends of Carronhill and The Sandpiper Trust. Friends of Carronhill support the little extras that make all the difference to the children who attend Carronhill School in Stonehaven. The school is one of only three in the north-east which caters for children from aged five to 18 with special needs, ranging from behavioural challenges such as Autism to physical difficulties such as Cerebral Palsy and Spina Bifida. Pupils attend the school from Aberdeen, Westhill, Ballater and other local areas. The Sandpiper Trust was set up in memory of 14-year-old Sandy Dickson. The charity aims to save lives in rural Scotland by equipping trained emergency volunteer responders with Sandpiper bags. These bags contain emergency medical equipment required to save lives. Linked to the ambulance services, Sandpiper responders are often the first to arrive at the scene of an emergency before an ambulance. Three local North-east charities are set to share a huge £60,000 donation thanks to Simmons & Company’s Sportschallenge event. Maggie’s, Children’s Aid (Scotland) and North East Sensory Services (NESS) have each received a substantial donation to support the crucial work carried out by each charity into the new year. Sponsored by Simmons, Sportschallenge has raised almost £420,000 over the past five years for local causes and its continued success is down to the generosity of the North-east’s business community. The annual Sportschallenge event will make its return to the North-east on Thursday 13 September 2018. Sportschallenge 2017 was hosted by renowned sporting personality Alan McInally; alongside former Liverpool United and Wales national football player Dean Saunders Winners of the ‘Europa League’ and ‘Champions League’ awards were Simmons and Co. and Bond Dickinson respectively. 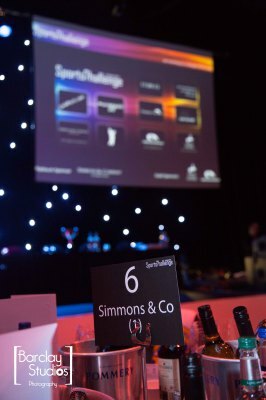 Main sponsors and host for this years’ Sportschallenge event, Simmons, were also supported by sponsors, CNR International, Power Jacks, Blackwood Partners, Carbon Financial Partners and DNB. Annual event held at Mercure Ardoe House Hotel with winners from Bond Dickinson and Simmons & Co.
Sportschallenge 2017 has been hailed a huge success thanks to the generosity of the North-east business community, raising £55,000 for deserving local causes. Funds raised at the event will be shared between North East Sensory Services (NESS), Maggie’s Centre and Children’s Aid (Scotland). The charities will each use their donation to improve and support the lives of those who need it most across the region. NESS is a charity that supports local people with serious sight or hearing loss to help them overcome practical and emotional challenges so that they can lead their lives as independently as possible. Thursday’s event saw Tara Spiers speak on behalf of the charity and her 13 year old daughter, Lorna, who has been supported by NESS for over nine years. Recently, Lorna travelled independently, on a bus, from her home into the city centre. This is a huge achievement that would not have been possible without the support of NESS’ young person’s service. Sportschallenge will ensure that this vital service will continue to be funded for another year. Simmons & Co., the principal sponsors of Sportschallenge, has supported Maggie’s Aberdeen since its formation, and this year, came to further appreciate the dedicated support and difference Maggie’s can make as one of their employees was diagnosed with breast cancer. At the age of 35 and just weeks after giving birth to her daughter, Katherine Andrew was diagnosed with cancer. The support that Katherine is receiving from Maggie’s will be crucial as she faces a decade of planned treatment to fight the disease. Paula Cormack, centre fundraising manager at Maggie’s Aberdeen, added: “Maggie’s relies entirely on voluntary donations from the local community and fundraising events like Sportschallenge are absolutely vital in ensuring we can continue to offer our unique programme of support to people across the North-east facing the challenges of cancer. Sportschallenge was hosted by renowned sporting personality Alan McInally; alongside former Liverpool United and Wales national football player Dean Saunders. Scott Swankie of Blackwood Partners presented the Simmons and Co. team, and captain Gavin Loudfoot, with their Europa League award. Keith Mackie of Power Jacks presented the Champions League award to the team from Bond Dickinson and captain Richard Forgan. Nick Dalgarno, managing director at Simmons & Co., said: “Sportschallenge has become a popular event in the North-east social calendar and to break a £400,000 fundraising milestone is an inspiring accomplishment. Main sponsors and host for this years’ Sportschallenge event, Simmons & Co., were also supported by sponsors, CNR International, Power Jacks, Blackwood Partners, Carbon Financial Partners and DNB. We'd like to welcome the latest addition to our sponsorship team. Thanks to Carbon Financial Partners the evening will kick off in style with welcome drinks on them! Great to have you on-board Barry & Co and thanks so much for stepping up.